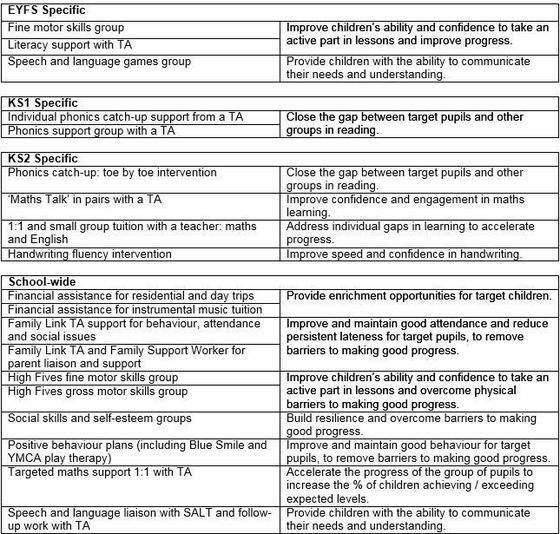 for all Key Stage 1 Pupil Premium pupils to make at least 12 steps progress across Key Stage 1 and close the attainment of pupils compared to National data. 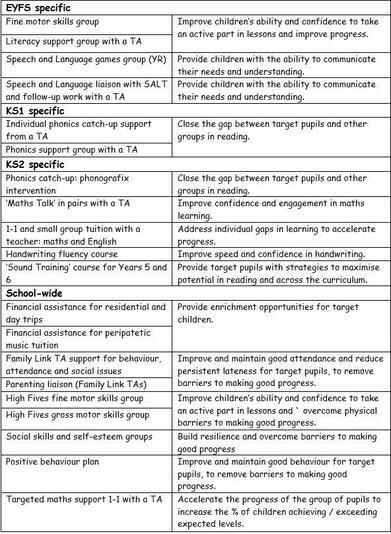 for all Key Stage 2 Pupil Premium pupils to make at least 6 steps progress per year, and close the attainment of pupils compared to National data. for expected standards at the end of Key Stage1 & 2 to be achieved or exceeded. for the gap between Pupil Premium and non Pupil Premium pupils to close across all year groups. St Paul’s CE (VA) Primary School. The Pupil Premium Grant is funding that the school receives from the government to help disadvantaged children to benefit from enrichment activities and to achieve better results. Funding is allocated for pupils from Reception to Year 6 who are (or ever have been) eligible for free school meals, who have been looked after by the Local Authority or who have parents currently in the armed forces. In 2015/16 the school receives £1320 for every eligible child and an additional £600 for every child in care or who has been adopted from care. Outcomes for Pupil Premium pupils at St. Paul’s School in reading, writing and maths at the end of year 6: percentage achieving expected level. Progress made by children throughout the school in Years 1 – 6.